RALEIGH, NC, US, April 8, 2019 /EINPresswire.com/ -- ECGC has partnered with Casual Connect to provide an Indie Prize scholarship for up and coming indie development teams who show promise as future leaders in the video game industry. ECGC's competition is focused on the creative force of the video game industry with Indie Alley start-ups. Last year Super Gravity Ball™ by Upside Down Bird won first place at ECGC and went on to win in London as well. 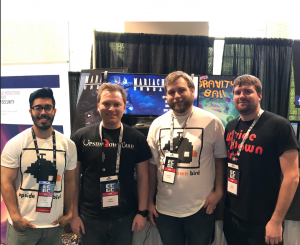 The team earned passes to Casual Connect in London, a spot at their Indie Prize showcase and $1000 from ECGC. After all the hard work put forth by Upside Down Bird it finally paid off with the team winning the Indie Prize Best in Show Award from Casual Connect in London 2018. ECGC will award Indie Prize participants with cash prizes of $1,000 for first place, $500 for second place and $200 for third place. Indie Prize is a scholarship and competition focused on the up-and-coming creative forces of the industry. Across four global events, over 500 teams showcase their games and compete for prizes and the coveted Indie Prize Awards. 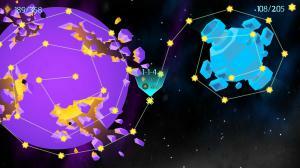 Indie Prize showcases at Casual Connect and offers participants an opportunity to learn and network with other developers and showcase their games, skill sets and ideas to publishers and potential partners. The London event will bring together the best that Europe has to offer along with the first place winner from ECGC 2019. At ECGC 2019 all games must be presented for in-person judging in hands-on playable form with a minimum of 15 minutes of gameplay. To secure a spot at ECGC, game developers are invited to register to exhibit in Indie Alley at http://ecgconf.com/exhibitor-registration/ and apply to Indie Prize at https://ecgconf.com/indie-prize. 1. The company is independent and majority owned by the team, not investors. 2. At least 50% of the submitted game IP is owned by the development team. 3. Applicants must be able to attend Casual Connect Europe 2019, which will be held May 28-30 in London. 4. ECGC applicants must have a booth or be part of a team from a school with a booth at ECGC and be prepared to lobby Indie Prize judges April 17-18. Upside Down Bird's "Super Gravity Ball"